Permanent Hair Colorant with Vegetable Ingredients. Enjoy the natural secret of beautiful, healthy hair. "Naturtint" possesses an exclusive and revolutionary formula combining the guarantee of a permanent hair colorant with the benefits of natural herbal and cereal ingredients. 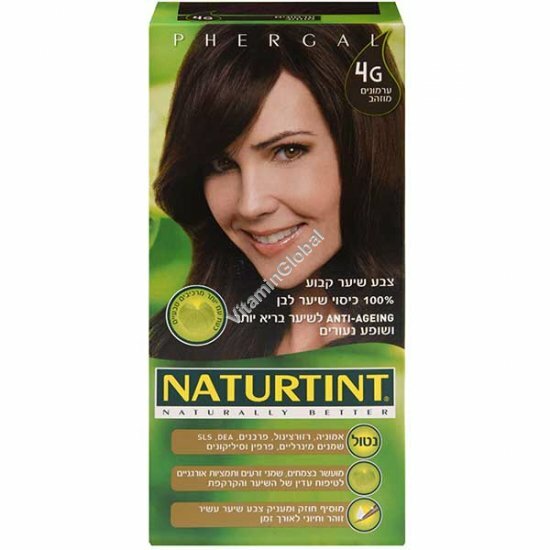 Permanent Hair Colorant "Naturtint" contains no ammonia. It is enriched with soy and coconut derivatives, as a subtle blend of oat, soy, corn and wheat extracts which gently complement the hair coloring process. "Naturtint" covers all normal grey hair from the very first application yet is gentle on even permed or the most fragile hair. Its vegetable ingredients help to nourish, protect, moisturise and restructure the hair bestowing a rich, radiant and long-lasting color, volume and shine. Permanent Hair Colorant "Naturtint" is easy to use and its results are gentle and effective to observe. Simply shake the mixture and apply to the hair.